A delightful little troop found in the leaf litter of deciduous woodland. 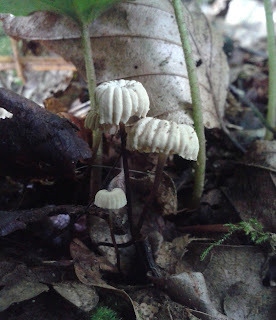 These tiny fungi get their name from the collar that the gills are attached to around its stipe. I always enjoy spotting these!